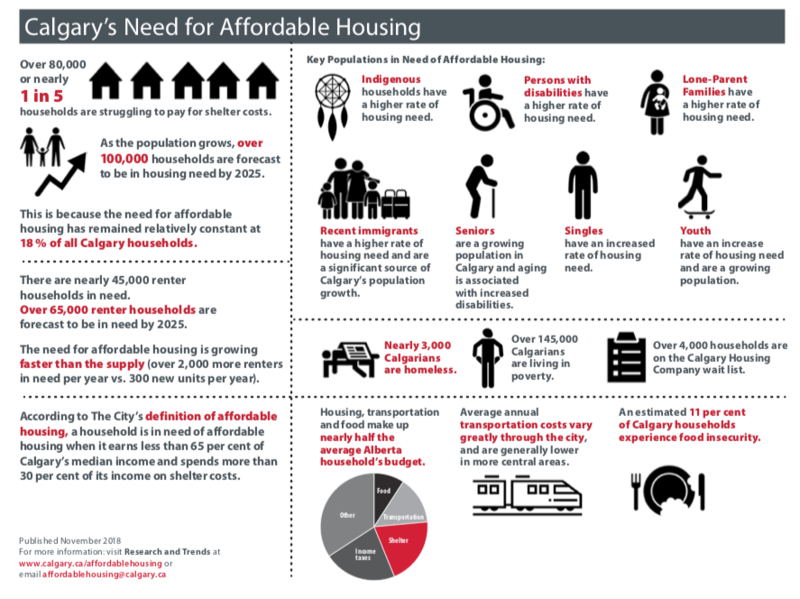 The Housing Needs Assessment is the most overarching research report on affordable housing need by The City of Calgary. It is a synthesis of relevant secondary data on demographic and economic trends, poverty and housing need. The Housing Needs Assessment is published every five years following the release of the federal census data. This 2018 Housing Needs Assessment updates and replaces previous versions published in 2012 and 2015. The purpose of the Housing Needs Assessment is to inform affordable housing policies, advocacy, development and operations in Calgary. The audience for this report is broad and includes City administration, community affordable housing providers, social service organizations, community-based committees and advocacy groups, as well as all orders of government.